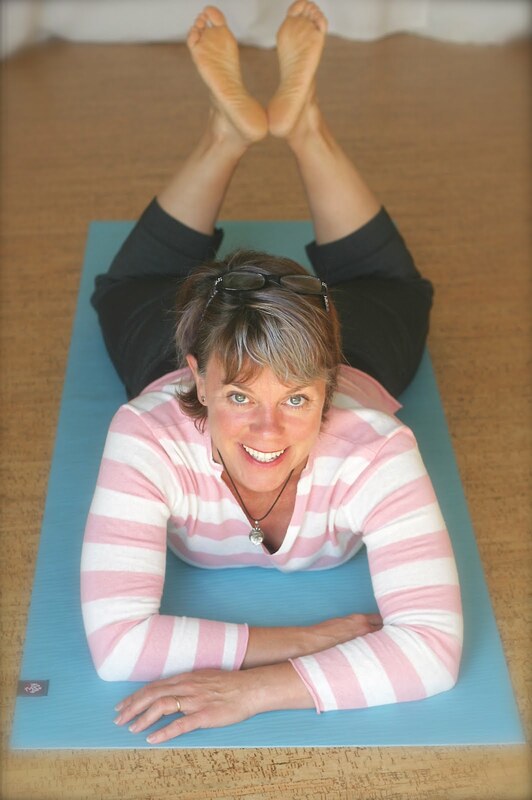 Think Somatics | Change for Good: Special Deals for Special Peeps! Special Deals for Special Peeps! OK! Now that we're putting the finishing touches on the studio, it's time to sell it! No, not sell the studio but sell my services. I have all kinds of ideas, so I'm excited to start transferring those ideas into actual hands-on coupons and specials to help wrangle up new folks to train/play with us, plus reward my regulars for their overall awesomeness. First order of business? My Wooden Nickels. The reason I'm posting it here, is so folks who actually read the blog, will know what the hell I'm talking about when I start doling them out. Consider this post like the fine print. So here's the deal. I got some little wooden nickels made and they look like this. Cute, eh? Everyone loves prizes, and everyday I'll be passing these chips out. So read up on how you can earn them, then how you can redeem them. 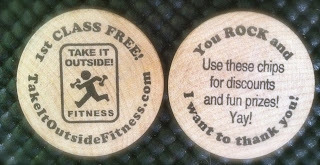 Earn one each time you walk, bike, carpool to class. Refer a friend and earn 20 of them! Receive 10 on your birthday. Get one when you participate in theme day, such as Wear Pink Day or dress for the holiday. I'll probably post themes on Facebook, so be sure to become a fan. 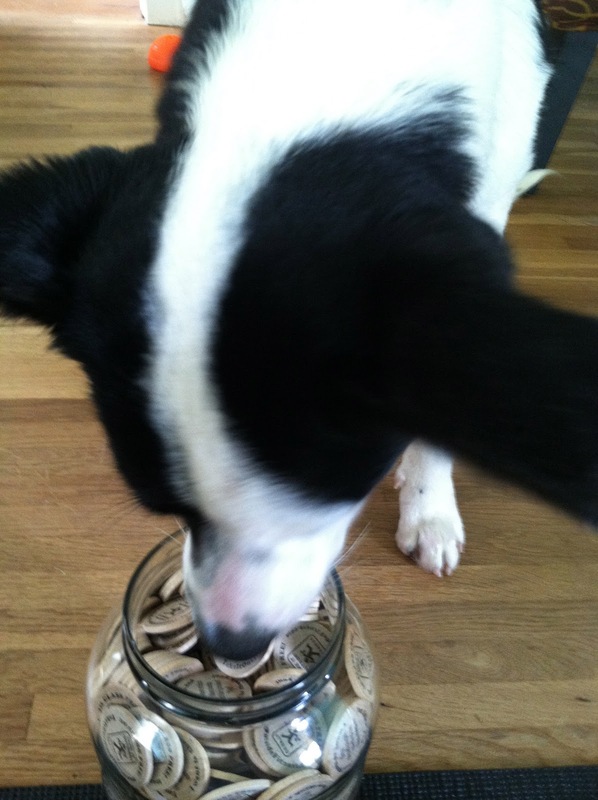 Or just earn them for random acts of community kindness. You help folks in class, volunteer somewhere or anything else I love about you. Earn them for progress. You can do 3 more push ups this week than last? Cool beans! Here's a nickel. Which reminds me: I need to start our quarterly fitness assessment meetings, so stay tuned. "Holy cow, there's so many!" So there you have it. Like I said, I'll be tweaking this offer over time, but this should get us started! May the collecting begin! * if someone can come up with a cute, clever name for these chips, they'll earn another 10! ** no animals where harmed in the making of this post. Panda definitely looks like she's saying, "Who, me?